EDIT: and also even though i didnt submit my haze with any clothing, are ponchos or other clothes allowed to be added or do i have to buy/earn them? I have a question! Can I very slightly change Maze's hair style since I'm not cutting it? Just wondering. Would it be okay to make the green areas on maze just one shade of green and no spots and what not? just curious. Are the mascots open for customs for registrations? Or is it close at the moment? Are there any limitations to creating clothing for Maze and Haze? If it's already been stated somewhere could someone possibly point me toward it please? Hello!! 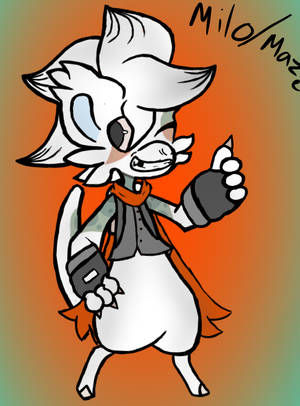 Sorry got another question but I wanna use the dye fruit I have to cover some of Hazes Markings up. Can you use any mutations on maze and haze or are there limitations. Hello there,since there is no Q+A link yet,I would like to ask if the image of my Haze is uploaded onto this account,may I delete the one from my gallery since the art is now on the Masterlist? How did you get your page to look so good? it was registered on the old thread. i think i have to reregister it here? I register before but i guess need to leave old proof here? If our maze has already been approved do we need it to be re-approved for the masterlist? If your Maze has already been approved please make sure you have a link to the approval comment in your tracker! If it's not there I will re-approve it. 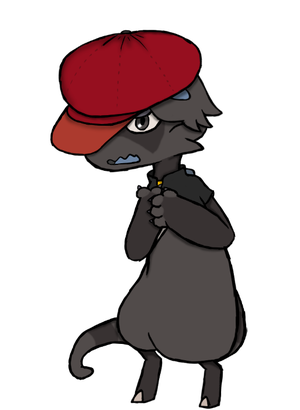 Shy and extremely introverted but he does at times try to be social but tends to stutter while talking to new bagbean’s but Hush does have a big heart for animals as well as other creatures and hates to see others depressed and will try his best to cheer them up. AHH THE ICON IS UP. Thanks for making another icon Luunan , it looks great!